Sewing machine bobbin questions are a regular topic around our sewing machine store. Here are the most common questions and answers. 1. How many bobbins do I need? You always need MORE sewing machine bobbins. How many bobbins do you really need? We took a survey at a recent Club in our store and the average amount of bobbins our club members said they had was between 20 – 30 bobbins for each of their machines. Yes, many of them own more than one machine! Buy a pack of bobbins every time you visit your favorite sewing machine store. Most sewing machines come with 3-5 bobbins in the box. Many people say that is enough bobbins when they are just starting out, but then we see them back within a few days needing a few more. Keep buying sewing machine bobbins at each time you visit our store. You eventually will have enough! 2. All machines use the same bobbin right? You MUST use the bobbins that are made for your machine. Check your owners manual or stop into your local sewing machine store for advise. The wrong bobbin can really goof up your tension! Just because you like the blue bobbins does not mean you can use them. Those bobbins are made specific for a Husqvarna Viking Designer EPIC sewing and embroidery machine. 3. Can I wind a bobbin to tight? Filling a sewing machine bobbin too tightly can make a plastic bobbin bulge or stretch the thread if you are using a metal bobbin. This may be hard to see but can cause all kinds of problems. Plastic bobbins can become compressed in the center causing the bobbin to distort. With metal bobbins the thread may get “stuck” causing increased bobbin tension or even cause the bobbin to “jump” in the bobbin case. 4. Can I interchange metal and plastic bobbins if they are the same size? Metal bobbins and plastic bobbins of the same size can NOT be swapped. Machines are set for a very precise tension setting. If they are set for a lighter plastic bobbin, the tension will change if a heavier metal bobbin is used. 5. Are all bobbins created equal? Bernina bobbins are milled and generic bobbins are stamped. The difference is night and day. If your machine takes a generic metal bobbin you CAN use a Bernina bobbin. It might even run smoother than the original bobbin in your machine. 6. Can I put my bobbin in backwards? Bobbins should always be inserted to spin the correct direction for your machine. Many machines have a picture to remind you which way a bobbin should spin in the machine. Side note: If you sew on a Bernina 7 or 8 Series or a newer Husqvarna Viking with green bobbins you are in luck, your bobbin cannot go in backwards! 7. What about thread tails? Tails are bad! Do not leave this thread tail sticking up through the hole in the top of the bobbin it can interfere with how the stitch formed. Be sure to cut this tail off so the thread can ride smoothly across the top of the bobbin. 8. What makes a sewing machine tech cringe? When a sewing machine mechanic opens your machine and seeing a variety of bobbin types mixed together and none of them are the correct bobbin for the machine, this is a guaranteed way to make them cringe. This is a huge NO-NO! Just because bobbins “fits” in the bobbin case does not mean that it is the correct bobbin. Do you really have the right bobbin? Double check the manual or with your local sewing machine store as to which bobbins are right for your machine. 9. This another thing a sewing machine tech sees that makes them cringe. Now granted sometimes it will work but there is just to many variables! Bad wind, tails you name it! Please just clear the thread off the bobbin or better yet get more bobbins! 10. But I hate to wind bobbins! No one really likes to wind bobbins but it is part of the job of sewing. We like to batch wind around here. We always get two spools of thread instead of one and take the time to wind one completely onto bobbins. When we open a spool of bobbin thread for embroidery we will wind the who thing onto bobbins and store them in a bobbin ring. It really does save time and is less expensive than purchasing pre wound bobbins and gives us the correct tension. Husqvarna Viking users – want to learn a cool trick about filling your bobbins? Watch this video! Have a sewing machine bobbin question? Post it in the questions below and we will answer it. I have a Viking Husqvarna S215. I took the bobbin out and the case to clean the machine before use. Had a hard time getting the bobbin case in right and once I got that right the mechanism to help pull the fabric through is not working. I also changed out my thread as I realized it was too thick. I also put on a empty bobbin and put new thread on that with the bobbin winder thinking that might be the problem. Now it just can get the part that pulls the material to work and I am not finding videos for now to do things with my machine. I know its almost 30 years old, but its still a good machine. Can you help? Hi Nancy, I am sorry we have not done any videos on the older machines and it has been a long time since I have seen a 215. I would recommend visiting your local Husqvarna Viking Dealer for some assistance. Seeing it would be half the battle on this one. How can I tell if my Bernina bobbin is milled (genuine) or stamped (generic)? What do I look for? If you got your bobbins from your local Bernina Dealer you should be in good shape. If you got them on the internet I would bet they are not genuine bobbins, but they may be close and still work. (As a authorized Bernina Dealer we cannot sell Bernina parts online) If you are unsure of where they came from I would visit your local Bernina store, most techs who have been around for awhile can sort them out in a few seconds. I did this one time too and no e was that I didn’t put the plate on it right so the feed dogs were not up high enough ,I was able to take the plate off and made sure I got it on right and it worked like a charm. Where do you stand with the prewound bobbins? My mother-in-law & I both have Designer Epics. She has had hers for just a year. I’ve had mine for 4 months. She uses prewound, I have not, as of yet. She has had many issues with her machine with nesting & other problems with calibration & “noise” during embroidery & has had it to the shop several times; the shop saying that they cannot reproduce the issues & at one point, having the machine for nearly 3 months. Could the prewound bobbins be a major player in this, with the Epic being fairly new in the market? Hi Deb, Yes it could be the pre wound bobbins we have seen similar issues when our customers are using them. With the Husqvarna Viking Epic’s larger bobbin there is not a good pre wound bobbin to match the size so we recommend only using the standard blue Husqvarna Viking Epic bobbins. My top bobbin winder is making very messy lose thread, not good, how do I fix this? Hi Tracy, We usually run into this if we are winding the bobbins to fast or the thread is not in the pre tension all the way. Hi Donna, The Designer 1 was out of the line before we started the Sewing Mastery Project. Hi, I was working on my machine . But next day when i tried to pick up the upper thread through the bobbin area instead of rotating full circle and coming up with boobin thread it gets struck at a particular point so i can ot pull it up. Seems like two parts are too close at that point and are not letting the thread pass through . Need help pl. Hi, Sorry to hear. 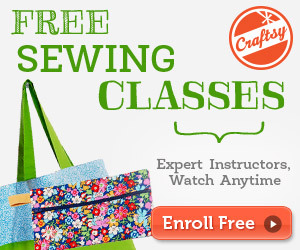 This sounds like a problem that your local sewing machine store service center should look at. What bobbin fits the PFAFF ambition essential? Hi Ruth, A class 15 bobbin will work or K bobbins from your local Pfaff store. Can a bobbin break needles? I have a brothers Pe770 embroidery machine and I noticed that I have (3 as of now) bobbins that I have put to the side because it repeatedly broke needles, like 12 needles total. I noticed once I changed the bobbin the needles stopped breaking. can bobbins become bad? or is my machine doing something else? I want to take the machine in but my closest shop charges $150 and I just don’t have that right now. Hi, Usually bobbins do not break needles. A needle can hit the hook or the bobbin case and then the rough spots becomes the problem. If needles do continue to break, a service will take care of the issue.